The cinema sheik, Rudolph Valentino died without ever seeing his famous “ghost portrait” and since that day a half century ago, the work has been viewed publicly only once. The portraits owner Ivan Dugan said he plans to commemorate the 50th anniversary of Mr. Valentino’s death by putting the work up for public auction. Mr. Dujan, who abandoned his career as a silent-film cameraman to turn artist, bought the 30×40 pastel from Gaston Albert Lavrillier the French artist a few years after the actor’s death. 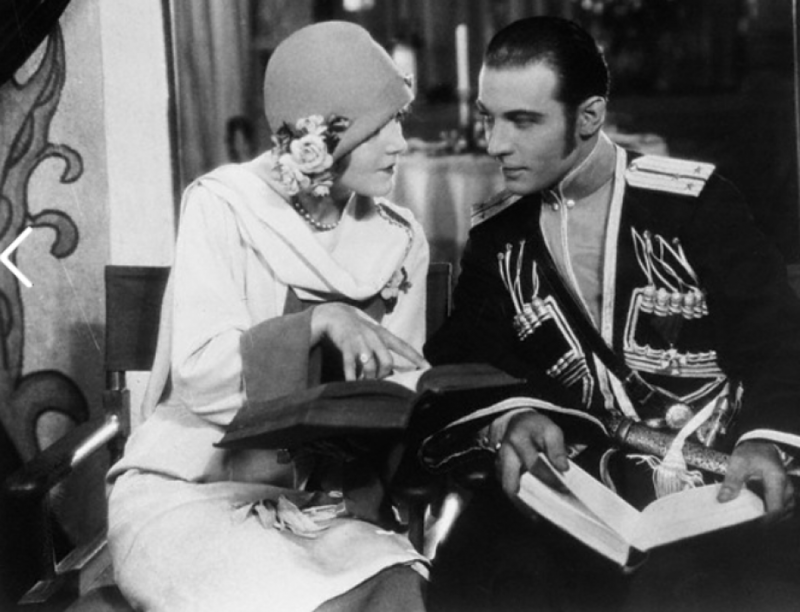 Since then, the work, “Rudolph Valentino In Role of Monsieur Beaucaire” has remained nestled in Mr. Dujan’s home its only other public outing a brief hanging 40 years ago at Grauman’s Chinese Theater. Mr. Dujan said that Mr. Valentino’s brother Alberto once came to view his brothers image. “He knelt in front of it and said ‘Rudy, why don’t you speak to me’?